Research and Experimental Verification of New Type of 126 kV Vacuum Interrupter Contact Structure LI Xiao-zhao;XUE Cong-jun;LIU Chang;LIU Shi-bo;ZHAO Fang-shuai;PAN Yue-sen;Pinggao Group Co. 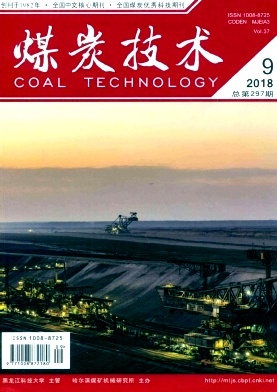 Thoughts and Achievements of Green Mine Construction in Zhongwei Mining Company LI Ya-feng;OUYANG Shen-yang;WAN Wei;QI Wen-yan;Xinjiang Baicheng County Zhongwei Coal Industry Co.
Design and Research on Cross Section Shape and Support Parameter of Coal Seam Roadway in Luxi Coal Mine XIN Hai-ting;LI Chang-you;Shandong Lineng Luxi Mining Industry Co.
Feasibility Study on Ascending Mining in Close Distance Coal Seam in Shiyaodian Coal Mine ZHENG Zhi-jun;Shaanxi Shenmu Coal Industry Group Co.
Study on Optimization Design of Overlying Rock Deformation Filled by Gangue Leaching SONG Wei-kang;HAO Xue-long;Coal Industry Jinan Design and Research Co.
Feasibility Analysis of Multi-coal Seams Mining under Railway Frame Bridge LI Xue-liang;Tangshan Research Institute Co.
Wheel-driven System Integrating Differential Motion and Planetary Braking MA Fu-wen;Taiyuan Research Institute Co. Analysis and Study on Working Stability of Half Coal Rock Roadheader HUANG Li-qin;Taiyuan Heavy Coal Mine Machinery Co.
Study on Resistance of Roller Freezing Viscosity in Tape Conveyor ZHU Tian-long;GAO Wei;Shanxi Tiandi Coal Mining Machinery Co.
Distribution Characteristics and Control Mechanism of Main Coal Seam Gas Content in Yizhitang Syncline SUN Chang-hua;DU Ming-yang;JIN Liu-qing;DONG Lei;WU Sheng;Guizhou Natural Gas Energy Investment Co. Analysis on Geological Influence Condition of Coalbed Methane Development in Guizhou ZENG Xiang-zhou;ZHANG Zheng-guang;DONG Lei;JIN Liu-qing;CHEN Ji-yu;LI Chen-chen;Guizhou Natural Gas Energy Investment Co.